Believing that “there can never be too many theatre lovers,” Jackie Gosselin has dedicated her career to sharing the joy of live performance with young people. 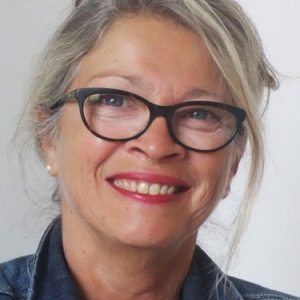 As the director of DynamO Théâtre, she writes and directs shows built around clowning and physical theatre (Il était trois fois…, Faux départs, Le grand méchant loup). As an instructor, she has trained an entire cohort of future actors and acrobats, both with Cirque du Soleil and at Collège Lionel-Groulx, where she has taught clowning since 2004.